I was intending to post this during the second round of riff tabs, and it completely slipped my mind. Which was a shame as this is a rather lovely little intro and makes a good contrast to the heavy, crunching riffs. 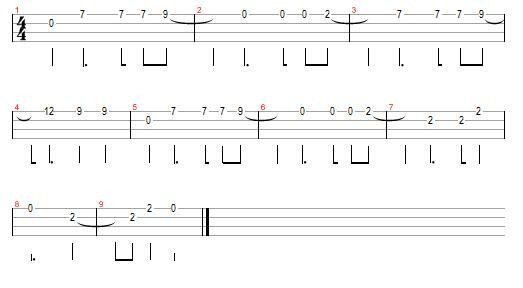 This tab was put together by IanB.